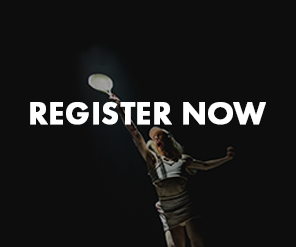 Register for Melbourne Fringe today! 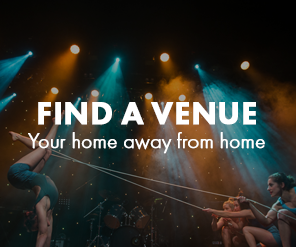 If you’ve got an idea of an event, an exhibition, an arena spectacular, we want to know about it. No matter who you are or where you’re from, your art matters. Fringe is open access, which means that anyone can register to be part of the Festival. We champion inclusion, diversity, freedom of expression and amplifying voices on the margins. So be a part of the Festival that celebrates creativity in all its glory and enjoy the warm embrace of our artistic community’s giant retractable arms. Do you have an idea for this year’s Fringe? We all have something important to say. 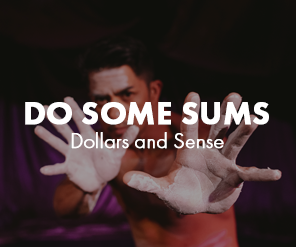 Say it at Melbourne Fringe in 2019. 50,000 copies are printed and distributed across Melbourne (and it looks super pretty). Your event will be listed on our website, which has a whopping 930,000 views during Festival period. We’ll navigate you through the difficult questions, and hold your hand while you cry and celebrate the wins. Develop your practice and sharpen your producing skills by joining one of our Creative Workshops. Apply for a Navigate mentorship, connect with industry peeps as part of our Tour Ready program, and more. The best bit? You’ll be eligible for a whole bunch of professional development awards as part of our illustrious Awards program. While we’re on awards, your event could win a coveted Fringe Award. Get the recognition you have always deserved. We’ll handle the transactions, you take care of the fun parts. Take part in our ticketing promos (Early Bird, Fringe Dwellers, Fringe Binge – a new one this year) and get more people through that door. Trust us. Those who come along to the information sessions do the best. It’s chock full of important info. 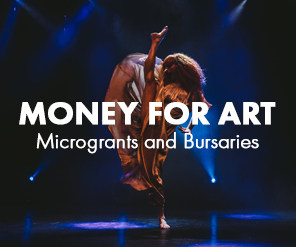 Apply for a whole range of microgrants and bursaries that cover everything from free regos to cold hard cash. The sacred Fringe Artist Pass, granting you access to hundreds of Festival shows for free, and sweet drink discounts. Skip the queue and get free entry to Club Fringe. Being part of the Festival community is serious fun. These are the things you’ll need before Regos close on May 31. Dates and times – when is it going to happen? *If you have one of these but don’t know what to do, contact our friendly Participant Services Team on (03) 9660 9600 and discuss it with them. 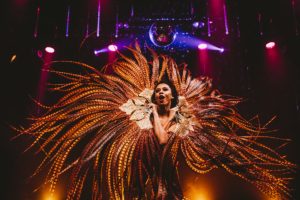 Queen of the Night, Melbourne Fringe 2018. Photo by Duncan Jacob.